By BurpsRP, August 1, 2018 in Technical Support Guides. 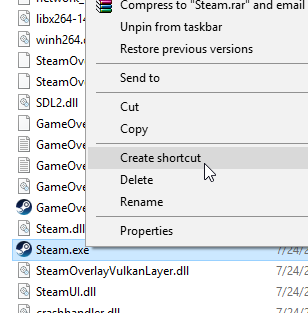 Hey, I'd thought I will post a revert on the friends list and chat update that steam released to all users, just thought a-lot of people here would find it useful considering the large amount of complaints. 3. 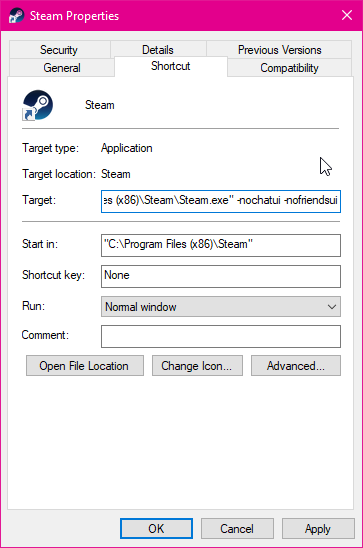 Where it says "target" add "-nochatui -nofriendsui" after the file location. 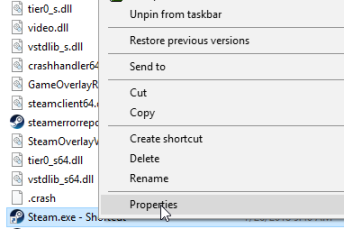 "C:\Program Files (x86)\Steam\Steam.exe" "-nochatui" "-nofriendsui"
Yeah, I like the legacy version more even with giving it a try this whole week.. Thanks!